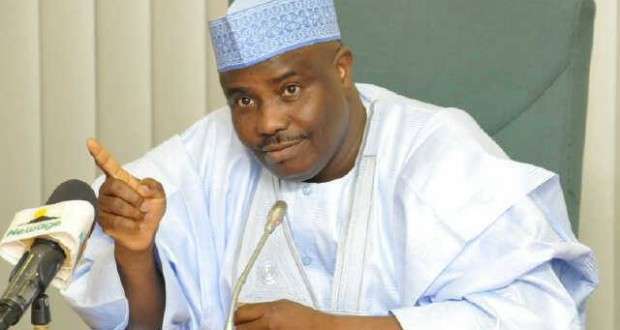 Sokoto State Governor Aminu Tambuwal has called on Nigerians to reject the “prison-yard democracy” typified by the ignoble meddlesomeness, rascality and high-handedness of some security agencies against democratic institutions in Nigeria. The governor condemned the recent developments in Benue State and Abuja, where security agencies reportedly meddled in the affairs of both the House of Assembly and National Assembly, by trying to prevent lawmakers from accessing their chambers, and also impeding movement of the Senate President and his deputy. “These are unfortunate incidents, an aberration, a reprehensible attack on the fundamental human rights and privileges of fellow Nigerians, and a direct attack on our fledgling democracy. We should condemn this crass and impudent exhibition of uncivilised conduct, so that we can keep peace and maintain a civilised society. “Democracy is about freedom of choice and association; it is about the people and the supremacy of the will of the people. Democracy loses its essential value when the interest of the people takes a back seat in any supposedly democratic setting. “Legitimate political choices and movements, including cross-carpeting, are part of a democratic enterprise. Any attempt to bully people out of their legitimate, democratic choices is a war against democracy.